I read two pieces yesterday which frustrated me, though for different reasons. The first was Tom Bennett’s angry post where he reported that he had heard that an undergraduate student had been asked to observe a lesson for examples of ‘visual, audio and kinaesthetic learning’. In his blog, Tom (rightly) criticised getting student teachers to waste time doing something based on intellectual bankruptcy. The fact that this is still happening is frustrating. The second piece was Nick Gibb’s attack on universities as enemies of promise, holding back improvements to our education system by a commitment to a progressive ideology. The idea that a Tory former minister was trying to whip up union support against universities would surely have been laughable a few years ago, yet I think he wrote his piece in the Guardian with mischief in mind rather than irony. Gibb’s article takes us to a dark place. It is not wrong, of course, in stating that universities, or at least some universities (or at least some people in some universities), are part of the problem: Tom’s blog post just goes to show what mountains we still have to climb. No, what frustrated me was what might flow from Gibb’s conclusions. If universities are part of the problem, then, if we sweep the universities out of the way, our problems will be resolved, or, at least, we can begin to take steps in that direction. What is it, though, that is the problem? Ideology is certainly a problem, and it is right and proper that ideological positions on all sides should be challenged and held to account. My hunch, however, is that ignorance is the greater problem. Ideology can flourish where ignorance is endemic. We challenge ignorance, of course, not with rhetoric, but with knowledge, and I would struggle to find a single university that did not see the production and reproduction of knowledge as its primary reason for existence. This is why I think universities have to be part of the solution. One possible conclusion from Gibb’s argument is that if we take universities, or at least their education faculties, out of the equation, then things will begin to improve. I am not convinced of this at all. Gibb would probably argue that teachers can best learn from their colleagues what they need to know. This troubles me. I first heard about the merits of Brain Gym from another teacher who was trying to help me control a difficult class. I first heard about ‘visual, audio and kinaesthetic learning’ not from a university tutor, but from a helpful Year 10 form tutor. I first heard about the merits of ‘thunks’ and ‘thinking hats’ from a headteacher-turned-consultant at a training day. If Gibb thinks that schools represent a paradise of common sense, then he really needs to see more of them. So how do we move on? How do we help knowledge triumph over ignorance? We should not be looking to reinvent the wheel. We have institutions that should be champions of knowledge, and they are the universities. I have said before that my university-based teacher education (a PGCE and MEd, as well as subsequent training as a mentor) were excellent. The PGCE History handbook that I was given at the start of my course was 160 pages long and every page of it useful. Most of it was an annotated guide to the research base that I had to learn in order to teach well. Over the course of the year I worked through that research – with my tutor and with my in-school mentors – and I must have read well over a hundred studies in that time. I was introduced to the principles of research and – particularly in the MEd of which my PGCE was part – I learned how to be a consumer of research as a professional. From what I gather online, however, my experience was not necessarily common. I know of several excellent university tutors – particularly within my own subject, but more widely as well – but the comments I have read on blogs and Twitter suggest that this is not always the case. I want to conclude this post by thinking a little about what holds universities back from being the knowledge hubs that they need to be in education. I offer these not as excuses: rather, these are issues that need to be resolved if we are serious about building the knowledge base of the profession. There is, first, a matter of time. Teaching a PGCE course (and usually a Masters course or two with it) is enormously time consuming – if a tutor has twenty trainees and visits each one in school twice, then that’s already two months’ worth of working days gone, before we even get to the actual teaching sessions. Academics in other faculties regularly complain about teaching workloads (I do actually sympathise) but teaching an undergraduate or postgraduate degree course is nothing on the intensity of a PGCE. I suspect most PGCE tutors would agree that the first thing to be lost under this pressure is research: time to read the latest papers, to expand one’s own knowledge of an incredibly complex interdisciplinary field and – yes – to produce one’s own research. There is then a matter of research expertise. Quite understandably, most novice teachers want their university tutor to be an experienced and successful classroom teacher, and many are quick to criticise tutors who ‘haven’t been in the classroom for years’. Yet an experienced and successful classroom teacher is highly unlikely to have developed an extensive research reputation. I pushed on with a PhD in history education for four years while teaching and it was hell. The result of this is that many PGCE tutors are often what might be termed early-career researchers (at best). They are certainly unlikely to be recognised experts in their field when they take up their university posts. Then we get to the fact that education is not a discipline: it’s an interdisciplinary field. In addition to one’s own subject discipline, there is a need to master the research output of other academics including psychologists, sociologists and philosophers. Universities these days are hot on ‘knowledge transfer’, but this does not always happen as readily as it should, and academics in other disciplines do not always communicate their findings well to the field of education. Your Dan Willinghams are the exception rather than the rule. All of these issues can be addressed, though addressing them is not easy. Universities need to ensure that their PGCE tutors are not swamped by teaching, and have time to build their own knowledge, both of their own field and others related to it. Cambridge is fortunate in being able to give its senior academic staff a term of sabbatical research leave every few years. Universities need to work with schools to ensure that they are developing a new generation of research-trained teachers who can take on teacher education roles in the future. Currently schools reward management progression, not knowledge progression, and this is something which both schools and universities need to take seriously. It is not unusual in medicine for a practising doctor to complete a PhD, and it should not be unusual in education either. Non-education academics need to grasp the fact that one of the best ways in which they can show ‘impact’ from their research is by engaging with those working in education; interdisciplinary work is terribly exciting, but it has to be recognised that its very existence is predicated on the multiple disciplines, and these all have to be brought together to give novice teachers the knowledge they need. None of this removes the role played by ideology. Ideology, however, cannot be challenged without knowledge, and knowledge is best produced, sustained and expanded in universities. This is what is distinctive, what universities can offer that few others can. If a university cannot offer knowledge to novice teachers, then it should not be in the business. Where universities place their emphasis on developing teacher knowledge, however, they are peculiarly well placed to be the answer to the problems that we face in education today. Very true! I think that the biggest danger to teacher training at the moment is the idea that everything goes to the Schools Direct route thereby removing the influence of good quality university level knowledge from the process. As so many people have pointed out, too much teacher training is based on limited evidence, but the default position is to look for quick and convenient fixes. Just in the last few years I can think of Kagan structures and the Fox learning tool – both of which have been suggested as ‘solutions’ to educational issues. One of the most powerful ways to reform teaching might be to demand professional reading as part of the time allocated to teachers in the year, this at the very least would involve teachers having a wider diet of educational research, and it is certainly an area where universities might be involved. I tend to agree that ignorance, not ideology is the core problem we need to tackle. I find much convincing here but while I would agree that ignorance is a problem my impression is that more time to read would be spent reading more of the sort of ‘research’ that has led to such bankrupt ideas. The approach of education departments towards phonics illustrates this well. Despite the enormous research on reading, many student reading lists are full of ‘research’ which just ignores the research! I am convinced by your point that university departments are best placed to dispel ignorance. Perhaps it should be a requirement that appointments better reflect the range of ideological interests – at least in the direction of appointees research interests! Some way needs to be found to ensure students are aware there are a range of credible perspectives. Much university training I hear about today seems like my own. My history teacher training was good in many ways but very progressive and although other perspectives were mentioned they were parodied and reading lists were stuffed with books from a ‘progressive’ perspective. That is in stark contrast to my history degree where we were expected to have a strong grasp of a range of arguments, the better to address them. Agreed – quality matters and this quickly becomes a larger question about the quality of educational research. Someone will find something to support whatever view they want to make, and so we need appropriate, authoritative means by which research quality can be ensured. On that I think there is a lot of work to do. But, it does make me think about how knowledge grows over time. I read recently that Popper was a liberal (knowledge grows in an open society in small increments through the crucible of public critique) and Kuhn was a Marxist (knowledge orthodoxies get overthrown in revolutions). I don’t like revolutions – they scare me – not least because we risk losing what we have gained. I’m very much a Popper person, and I’m hopeful that, by small increments, we can make progress. This is what makes social media so good – research is getting a public grilling like never before, and that has to be a positive thing that will hopefully provide more in the way of checks and balances. If all university departments were to put on their websites the precise curriculum that trainees follow – including reading lists, slides, etc. – then these would all be open to public scrutiny. This might be a way forward? Though perhaps my support for Popper here is based on a woolly liberal idealism. To the barricades, perhaps? I’ve not read Popper but I like your argument about knowledge growing in small increments. To me there is also something conservative (Burkean) in the idea as incremental change is to conserve and avoid the risks of revolution. I think making reading lists open to public scrutiny is a great idea. Like most teachers, I suspect, I can remember education lecturers whose ideas and experience seemed worlds away from classroom reality; equally, I also learned long ago that depending entirely on learning everything from more experienced teachers is a good way of ensuring stagnation and stifling new ideas. Like you, Michael, I would have to say that I have found that the richest source of crazy teaching ideas and schemes guaranteed to hinder learning has not been government (though full makrks for effort!) but the over-fertile imagination of some teachers. Having worked as a teacher, as an education lecturer and now as a history lecturer, I would resist any attempt to identify a particular sector of education in itself either as the source of all that is bad or as the panacea for all eductional ills. In fact, I have usually found that the best results come from a judicious combination of the different sectors where (and this does need to be got right) the nature of the partnership and of the leadership of the scheme is clear to all parties from the start. 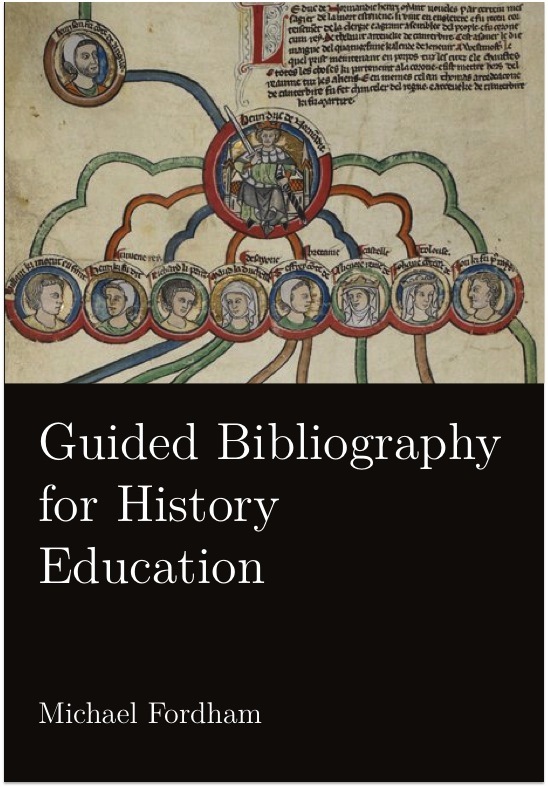 I can remember a very fruitful partnership of teachers, education academics and history academics on an A level R&D project some years ago; similarly, involving serving teachers in the selection of PGCE candidates and in the teaching of the course (involving, mind, not handing over to), as happens at Cambridge, is also a very fruitful idea. When I was lecturing in Education the then government launched the ‘recent and relevant’ initiative, to require lecturers to do some classroom teaching. The idea behind it was good, but the method was clumsy and unrealistic. Each sector is much better advised to carry on developing what it does best, but there needs to be constant co-operation and collaboration on projects, so that they all stay in touch with each other, keep up to date with the latest pressures and developments in the other sectors, and, when it is well done, each can benefit enormously (and the students best of all). Thanks for commenting Sean – I agree with every single thing you say here. This is a very relevant, well-argued, and perceptive blog post. I’ve moved this year from teaching in schools and colleges, to become a tutor on a PGCE course, and getting to grips with the current research is a massive task for which there is very little time. I work hard to offer a balanced perspective, but am always concerned that I may fall victim to a well-argued, polarised view-point, supported by good, but carefully chosen research, as tends to be the case if one spends too much time reading blogs. The apparently unassailable argument presented against everything constructivist and backed by the Kirschner, Sweller, Clark (2006) paper is a good example at the moment. What has surprised me is that this gap isn’t filled to some extent by my research contracted colleagues. Partly this is because they are up to their eyeballs trying to contribute to the universities research profile and supervising large numbers of Masters and PhD students, which is where the money is. But partly it’s that many of them work within quite narrow research areas and there is often not an obvious colleague to turn to for the kind of broad picture that might be appropriate for the PGCE students. If ITE (and, indeed, CPD) was central to the purpose of the School, then this might be something we could move towards, but as a Russell Group university, it’s the research that is currently more important, to the extent that the university may at some point insist that ITE is ditched. How ironic that the universities most focused on great research in education might be looking to disengage even further from the real lives of teachers and children instead of looking at their research as the thing that might move the UK education system from Good to Outstanding through greater integration. I remain hopeful that the best Schools of Education might realise that research without action is a Hollow Man and blaze a path for the rest.